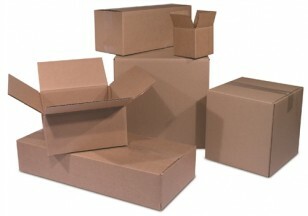 Economical corrugated boxes made of 200# test C flute cardboard are most commonly used for shipping, packaging, moving and storage. Click on length dimension for more information on each carton. Double Wall cartons are denoted by an * symbol next to the length dimension.